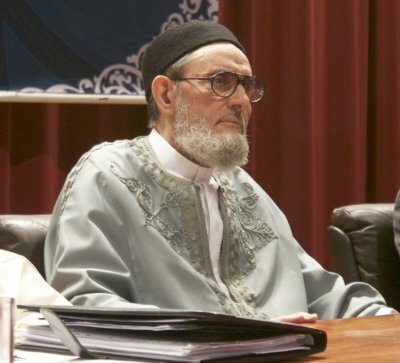 LIBYA: The Grand Mufti, Sheikh Sadik Al-Ghariani, has issued a fatwa saying that female teachers in schools and colleges must cover their faces if they are teaching males who have reached puberty. He made the ruling following a request for advice from the Ministry of Education on the issue. It had said that some female teachers were veiling their faces while giving lessons but it felt that this was having a negative impact on students’ understanding because, by not seeing the teacher’s face, they were not able to interact and properly lean. It asked for a fatwa telling female teachers to remove their veil inside the classroom while teaching. Prime Minister Benjamin Netanyahu delivered an aggressive, seemingly petulant speech at Bar-Ilan University. Between Holocaust references and criticism of Palestinian leaders past and present, he demanded that the Palestinian Authority recognize not only the unassailable fact of Israel’s existence, but the historic right of the Jews to have their own sovereign state in this land. As one critic suggested derisively, he demanded that the Palestinians become Zionists before peace can be achieved.